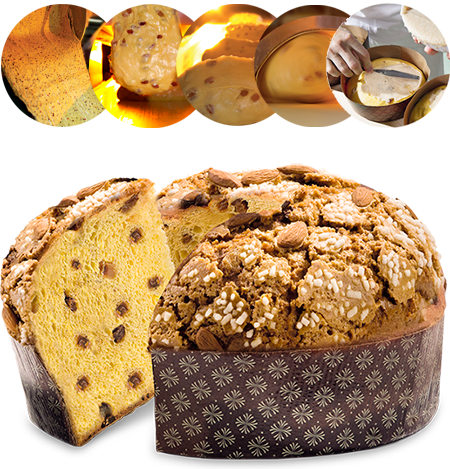 Even in the selection of raw materials Albertengo leaves nothing to chance: the mixture of its Panettone, made with a special starter yeast that you need to "revive" every day, rests for forty-eight hours before being used. In addition, all the other ingredients are chosen from the most exclusive gastronomic delights of Piedmont, including the delicate Moscato di Santo Stefano Belbo, small and precious apricots from Costigliole Saluzzo (near Cuneo) and the round PGI hazelnuts from Piedmont, produced in the Albertengo's hazelnut orchard in the area of Cortemilia, in the Alta Langa. These and many other small details make the Albertengo Panettone cake a guarantee of quality and protected tradition: pure goodness to give to those who we really love, a precious gift that is hard to resist.